The West Coast of the South Island is a sparsely populated region with some of the most dramatic scenery in New Zealand. It is an area of mountain peaks, impressive glaciers, tranquil lakes and raging rivers, lush rainforest and a magnificent coastline. Stretching 600 km/373 miles in length, the West Coast has either wholly or partially located within its boundaries many of New Zealand's 13 national parks. Furthermore, the southern West Coast area has been designated a UNESCO World Heritage Site for its uniqueness and as a 'special place' in the world. Created in 1996, Kahurangi is one of New Zealand's newest national parks. At 452,002 hectares (1,116,054 acres) it also one of the largest. Translated, its name has a number of meanings including 'treasured possession', an apt description of its wonderfully diverse natural and recreational values. The Park contains areas of untracked wilderness, along with a wonderful network of tracks that enables visitors to explore wild rivers, high plateaux and alpine herb fields, and coastal forests. Kahurangi is in the north-west corner of the South Island. 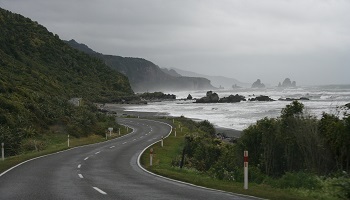 Karamea, Motueka, Takaka, and Murchison are the Park's gateway towns. The Heaphy Track is situated in Kahurangi National Park. 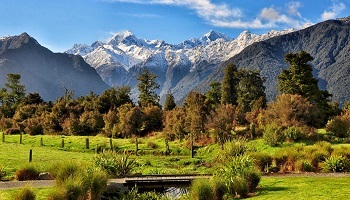 In the heart of the Southern Alps is Arthur's Pass National Park 114,500 hectares (282,716 acres). It is situated on an historic road linking the Canterbury and West Coast regions. High mountains with large scree slopes feature along with wide, braided rivers and steep gorges. Mt Aspiring National Park This is the third largest national park in New Zealand, stretching from the dense rainforests of Fiordland across braided river valleys and alpine meadows to the heavily glaciated Southern Alps. Westland/Tai Poutini National Park can be accessed from this area - the small villages of Fox Glacier and Franz Josef are right on the Park boundary and are located just 5 km/3 miles from their respective glaciers. Each of the glaciers descends 2,500 metres/8,197 feet in a journey of over 13 km/8 miles. They are remarkable in that they are so accessible and extend into valley floors alongside temperate rainforests. The smaller rural communities of Harihari and Whataroa, are on route to the glaciers. 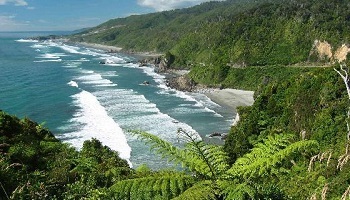 Harihari offers great coastal walks while Whataroa is the base for trips to the nearby kotuku (white heron) sanctuary. Haast, in the Southern West Coast, offers a variety of wildlife experiences and is a constant source of joy to the keen bird watcher. Situated in the World Heritage Area, Haast stands guard over the biggest stands of native rainforest and the most extensive wetlands in New Zealand. Launched in 2003 with a passion for Australia, New Zealand & The South Pacific Islands, Aspire Down Under specializes solely on these destinations and offers the very best advice and service coupled with creative itineraries, unique offers and specialist knowledge that makes the difference between a good vacation and a great vacation. Find out why “nobody does Down Under better” when you travel with Aspire Down Under.